The federal government has confirmed it has requested pricing and availability of 10 Alenia C-27J tactical transport aircraft for the RAAF. The Air 8000 Phase 2 Battlefield Airlifter (BFA) project aims to replace the tactical airlift capability left vacant by the retirement of the RAAF’s DHC Caribou in December 2009, and has been put off by successive governments over a period of more than 20 years. The C-130H and C-130J Hercules operated by Richmond based 37SQN have to some extent fulfilled this role in recent years, but the Hercules lacks the short field performance and is much heavier than the Caribou or its possible replacements, while helicopters lack the range or speed of a fixed wing aircraft. 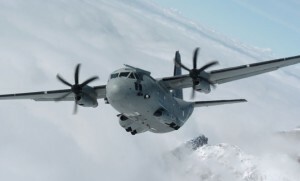 In a statement released on October 19, Minister for Defence Stephen Smith and Defence Materiel Minister Jason Clare said the formal request was being sent now because production of 38 C-27Js for the US Air National Guard was coming to an end. “Due to the pending closure of the production line for US Air National Guard aircraft the Government has authorised Defence to issue a non-binding/no-commitment Letter of Request seeking price and availability information on the C-27J,” the statement reads. While Defence was unable to confirm at time of writing to which organisation the request had been submitted, the ministerial statement suggests the C-27J may be acquired through the US Foreign Military Sales process. This would give Australia an opportunity to tie into the US’s sustainment and upgrade program for its fleet, as well as giving greater economies of scale for both operators. Recent media reports suggest US politicians are pushing for an increase in the US ANG fleet to as many as 75 C-27Js, as the type is now in operation in Afghanistan and has proven to be far more economical than the larger C-130 with typical loads. The C-27J shares common engines and cockpit avionics architecture with the C-130J. The formal request doesn’t mean the C-27J has been selected to fulfil the Air 8000 Phase requirement over Airbus’s rival C295. “The information from the Letter of Request will inform Government consideration of capability, cost and schedule issues associated with this project as well as consideration of the acquisition strategy, including whether a roader tender process will be pursued,” the ministerial statement said. The statement has also for the first time officially acknowledged that Defence is developing options to retain the C-130H fleet – of which about eight aircraft are operational out of a core fleet of 12 – beyond its planned retirement in 2013 out to 2016. UPDATE 3.11pm 19/10/11: Defence has confirmed that Australia’s letter of request for 10 C-27Js was submitted to the US Government, which means it would likely be an FMS sale through the US Air Force. I think somebody is being a bit liberal with the facts: production of the 38 a/c for the USAF is nowhere near at an end. They have taken only 11 so far in just over 2 years. There are several years to go before their order is fulfilled. David if you think these aircraft will be a waste of money, perhaps they will make up for it in their ability to be more economical than the C130 when transporting smaller loads. Finally it looks like the end of a much delayed and often frustrating process is coming to an end, Hopefully nothing will shoot down the decision this time. As has been pointed out, Nothing will replace the Caribou`s impressive short field performance, At least the Air Force will not burn up precious C-130 hrs in short flights without a full load. C-27J is the perfect partner for C-130J. Same engine/prop/. same glass cockpit. Easy for crew transition. The Herc is too much aircraft for many missions. Not every flight is into a small grass field. The Caribou excelled at that but failed in other missions being too slow and the cabin too small to carry modern Army “stuff”…..
Would it not have been more cost effective to put the Caribou though a mid life up date ? I am told there are several companies bringing those old warhorse back to life, with new engines and complete make overs, bringing them up to standard for current requirements. Look at what the RNZAF have done with their old C-130 for example. Surely the cost of this aircraft – in fact AIR 8000 – cannot be justified. At $1.5 billion It is difficult to see what buying this aircraft can offer in extra capability to justify the cost. In an article in AA about King Airs an officer said ‘ In reality we probably practiced STOL mission more than we would ever use it operationally. and that the operational tempo of the ADF had taken that away.’ That was to justify a fleet of King Airs only as an interim. There must be significantly cheaper options including leasing say 19 -25 seat civil aircraft which could be used for STOL missions and leave the rest to the Herc. I see they want to retain the H models for a long while more anyway. In these trying financial times when this Government is spending like a drunken sailor now is the time to review this requirement. Hercules and can economically complement the -J and -H model by flying smaller loads into ‘awkward’ airstrips. The C-295 is essentially a personnel transport. It has a narrow and low tubular fuselage unsuited to transport of bulky freight such as GS and engineer vehicles. Ten C-27J could be enough. But if air-air refuelling of helicopters is added then – lacking C-130 tankers – approx sixteen C-27J will be required. Just wondering if the V-22 Osprey was ever a contender. it would be the ideal short field performer.